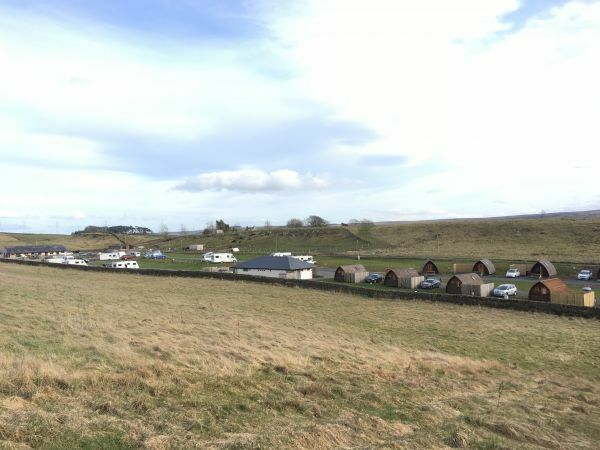 Herding Hill Farm is an award-winning 5-star caravan, camping and glamping site located in an idyllic spot above the small market town of Haltwhistle and just 1-mile from Hadrian's Wall. Stargazing is plentiful here. 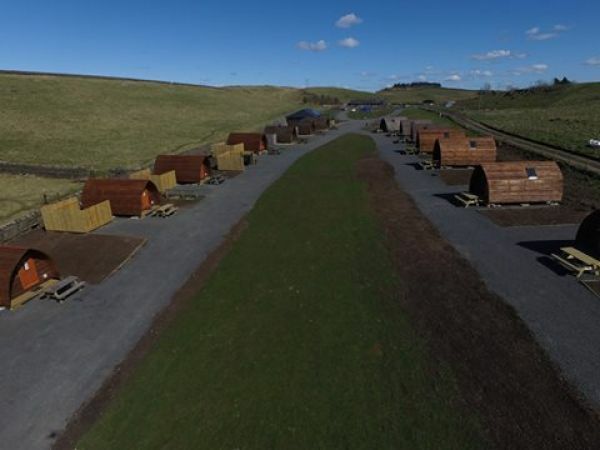 The International Dark Skies Park at Cawfields Quarry on Hadrian's Wall is just a 15-minutes' walk. Imagine relaxing in one of our hot tubs at night and gazing up at the stars! 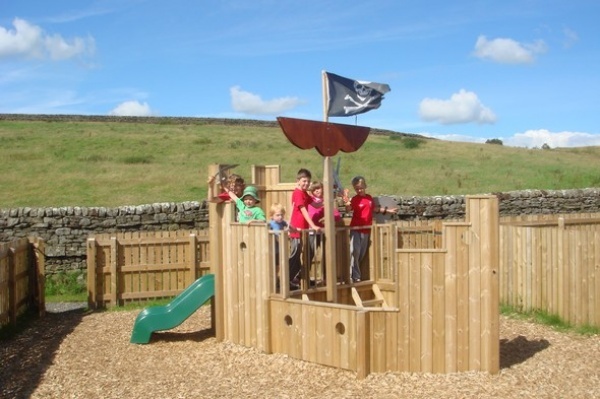 Family friendly and dog friendly, our campsite features a fabulous children's timber roman fort playground, a petting farm and dog walking area. 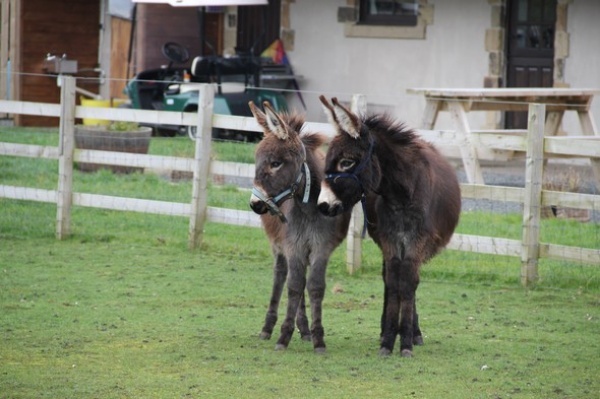 Our resident animals include 3 alpacas, a Kunekune pig, 2 donkeys, 2 goats, a miniature Shetland pony, hens, ducks and rabbits. 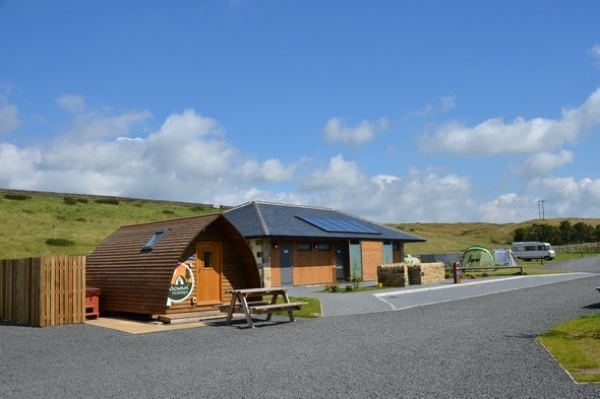 We are open all year, offer free site wide Wi-Fi and have a state of the art amenity block with underfloor heating, solar panels, a unisex sauna (free to use between 6pm and 8pm), drying room, laundry room, covered washing up area, family/accessible bathroom (with bath tub) and 2 further bath tubs in the Ladies'. 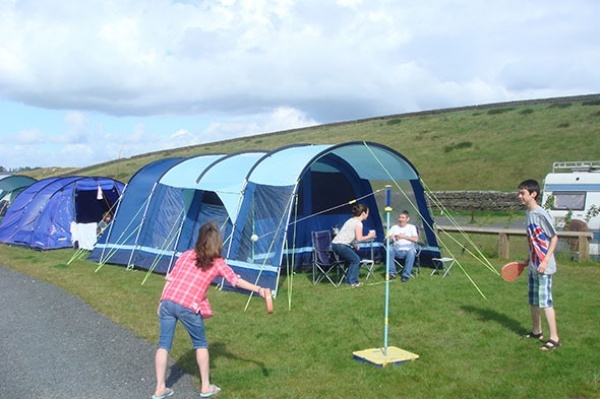 Our campsite welcomes touring caravans, motorhomes and guests wanting to camp or glamp! 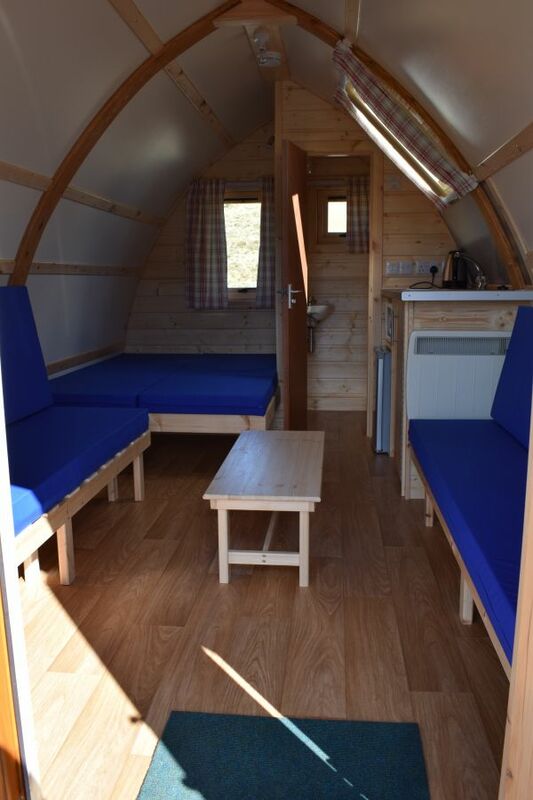 We have 13 (9m x 9m Caravan Club spec) hardstanding pitches with 16A electric hook ups, including 3 super pitches, 8 premier electric grass pitches for tents or caravans, 17 all-season wooden heated Wigwam cabins/pods (3 large Big Chief 4/5 berth, 10 Running Water 4/5 berth with en-suite and hot tubs and 4 Wee Brave 2/3 berth). 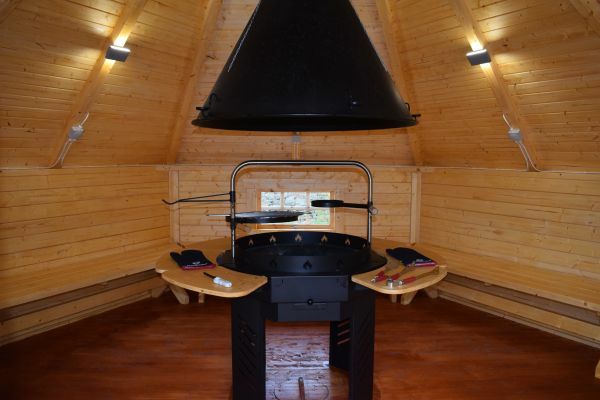 Our Wigwam cabin occupants have the option of hiring one of our firepits. 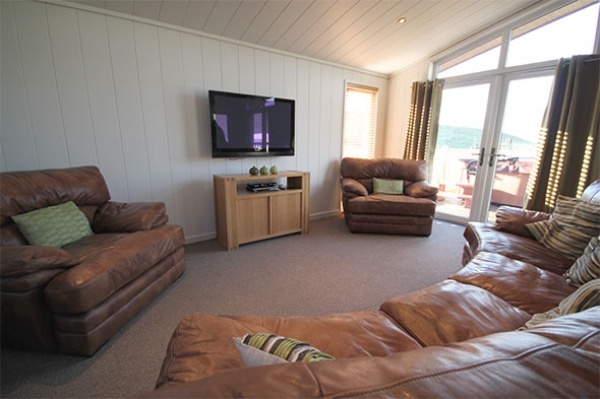 If you're looking for something more luxurious, we also have our luxury retreat holiday lodge with private hot tub, which sleeps 6 guests in 3 bedrooms. 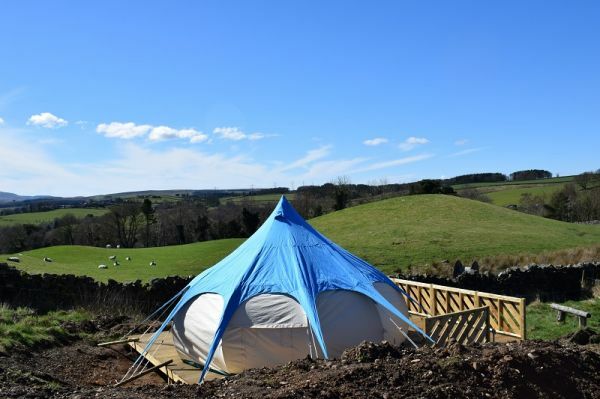 In the warmer months, our glamping village comes to life with 3 Tentipi Tents & 4 Lotus Belle Tents, located in a private part of the site that has amazing views. This area has a communal gathering area and a wildlife pond. Our on-site shop is licensed to sell alcoholic drinks. We also hold pizza nights with freshly prepared homemade pizzas, using only top quality ingredients, which we deliver to your pitch. (Times vary over the year so take a look at our website or Facebook page). If you fancy a short stroll to the local, we're fortunate to also have a nice country pub just half a mile from us towards Hadrian's Wall. If you are towing a caravan please do not follow Sat Nav systems as this may take you up Shield Hill from Haltwhistle, which is extremely steep for a caravan. Travelling from the east on the A69 continue past Haltwhistle and after approx. 3 miles you will see a right turn to Greenhead. 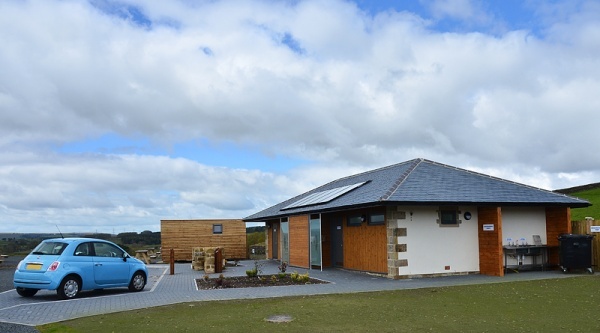 After 100 meters turn right at the junction of the B6318 and after 3 miles you will then pick up our brown tourist signs at the Milecastle Inn. From the West, also take the Greenhead turn off the A69. The AD122 Hadrian's Wall bus stops outside our gates. This runs between Hexham and Haltwhistle usually between March and September, but please check on the Go North East website. 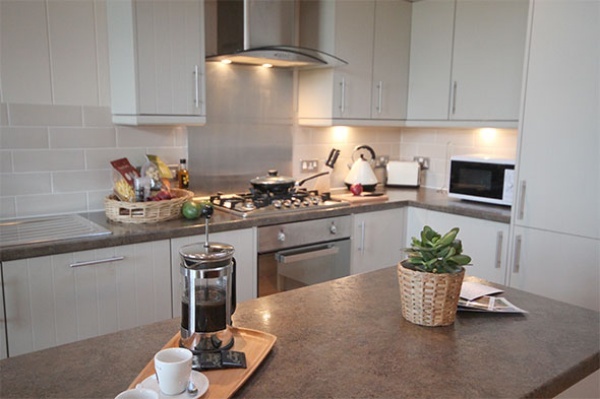 We are just 2 miles away from Haltwhistle railway station which is on the Newcastle to Carlisle line. We host stargazing events so check out our website. Just stayed for 2 nights as part of a surprise birthday weekend. 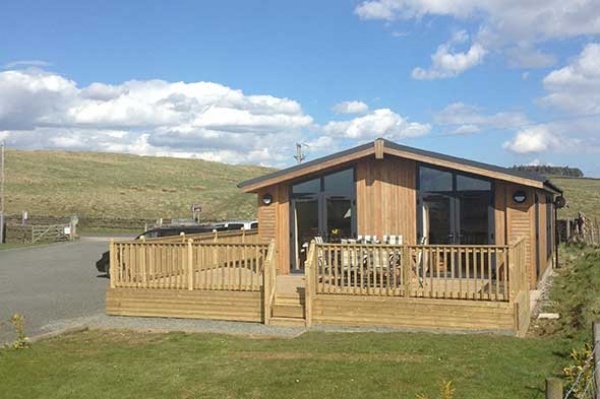 Site was lovely and staff were extremely helpful. Wig wam was amazing and the hot tub was fantastic and well worth it. Beautiful location with lots to do locally. 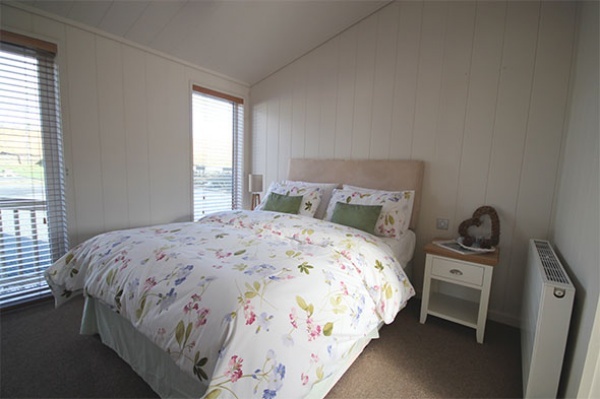 We have recently stayed at Herding Hill Farm and we loved it. 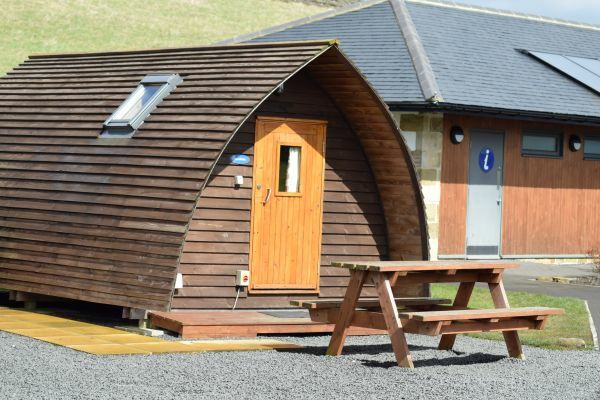 We stayed in one of the ‘Running Water Wigwams’ and had originally booked it for three nights however we received an email asking if we wished to alter our dates or stay an extra night as they were having a Halloween/ Bonfire get together and wanted to give us the option to be part of it. As we were staying with our five year old son we opted to stay another night as we had the time off work anyway and it was so worth it. When we arrived we were greeted by Sue who was very welcoming and gave us all the information we needed regarding our wigwam and the site. 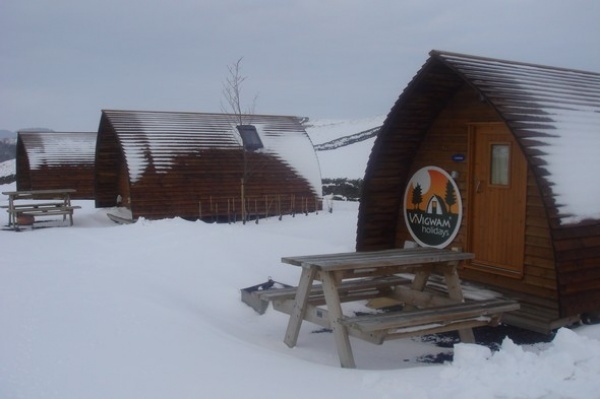 Our wigwam was very clean and they had already put the heating on for our arrival which was a nice touch. 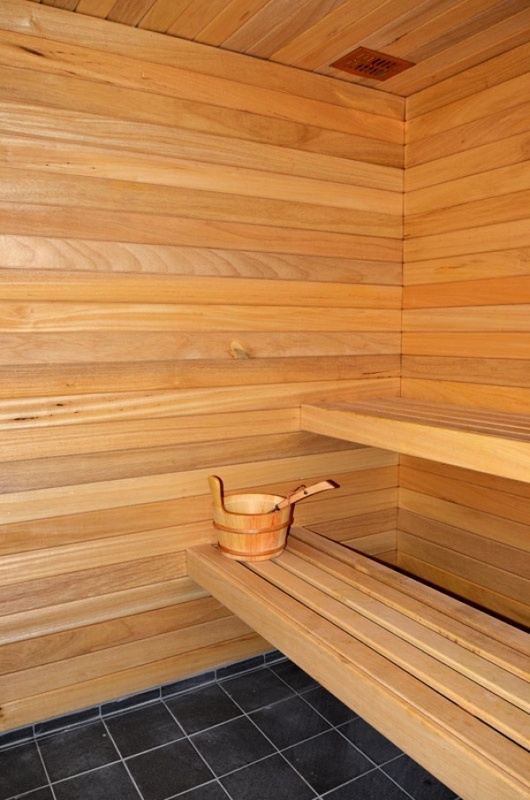 The amenity block was immaculate and warm which was great! They had all the facilities needed as well as a wash up sink/ food prep area for those without the running water. They also had baths in the Women’s block which is handy for younger children. 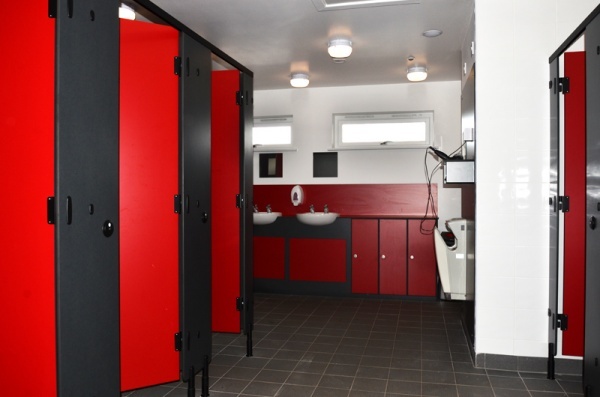 There is also a dry room for any wet towels/ clothing and a vending machine which offered hot drinks and confectionary; they do have a small amount of items including milk which you can purchase at reception also. Sue had already mentioned the feeding times for the animals they have on the site and so we wandered up to have a look and much to our son’s enjoyment he was encouraged to help with the feeding. He had so much fun feeding ‘Bubbles’ the pig and the rest of the animals and Sue and Phil were great with all the children. 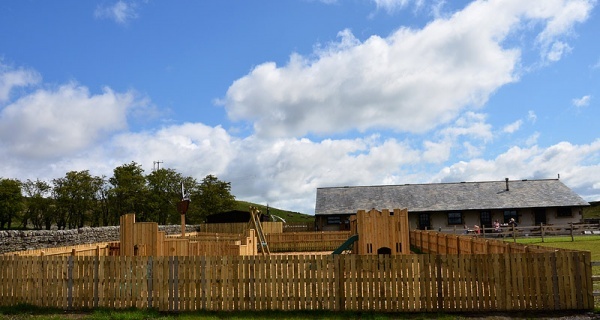 During the day we ventured out to the near-by attractions in particular the Roman Army Museum and Hadrian’s Wall but come the evenings we enjoyed a fire pit which you can purchase from reception which includes all you need to get it started and then ended the chilly nights in the hot tub. The hot tub was a dream and was maintained daily by Phil; even our son didn’t want to get out. We were lucky to get one night where the clouds disappeared and we sat as a family and watched a sky full of stars in the hot tub. On the Friday they cooked Pizza’s which you could buy and were delivered to your Wigwam which was something different and fun for the kids. We sat outside wrapped up with a cold drink (beer*) and ate our pizza which was delicious. On the Saturday we enjoyed the Halloween/ Bonfire celebrations where there was face-painting, a bon fire and some fireworks to end the evening. The children all received a goody bag too which they all seemed thrilled with. I’d also like to note that after we had stayed our first night my father and step-mother decided they wanted to join us for one night; I approached Sue and she made it so simple to sort out. 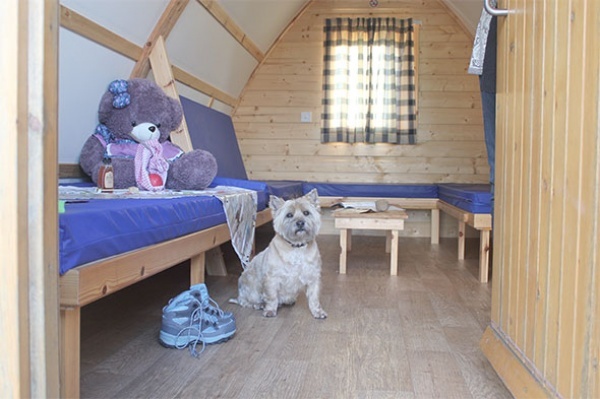 There are options to add other people to your accommodation but they wanted to stay in their own wigwam and I was able to sort it out with Sue on their behalf which was hassle free for my father too. 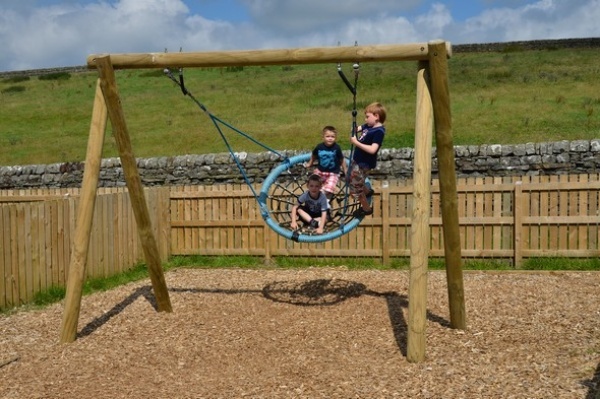 There are lots of places to go and things to see in the surrounding areas; Herding Hill farm is in an ideal place and central to a lot of visitor attractions. We loved every minute of our stay here. When we booked this kind of get-away, we wanted it to be real family time- no TV, no social media and that’s exactly what we had. It was great to get outdoors again and enjoy quality time together; all thanks to Herding Hill Farm. 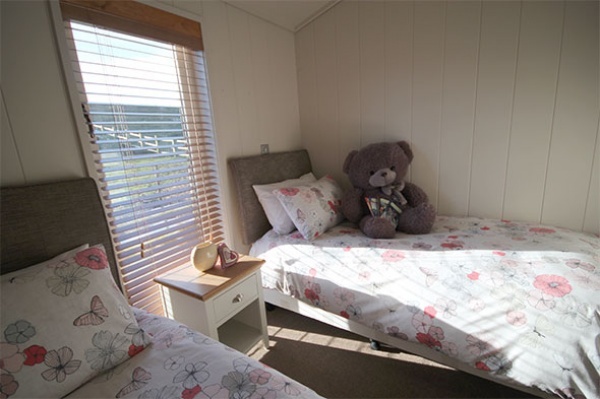 We are 100% staying here again in the next school holidays and can’t wait. 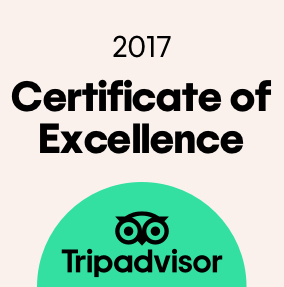 A big thanks to Sue and Phil for being so welcoming and helpful; they really made you feel more like an honoured guest rather than just a visitor stopping by. 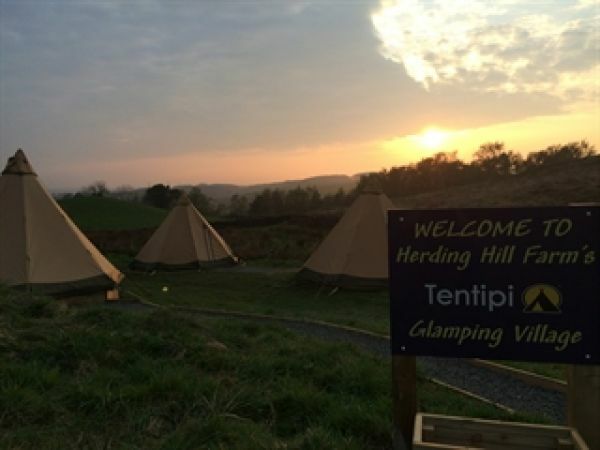 Herding Hill Farm has a real friendly atmosphere and gave us a memorable time. See you again in 2019! We're in the middle of our stay at the minute, on our 2nd honeymoon. The site is lovely. 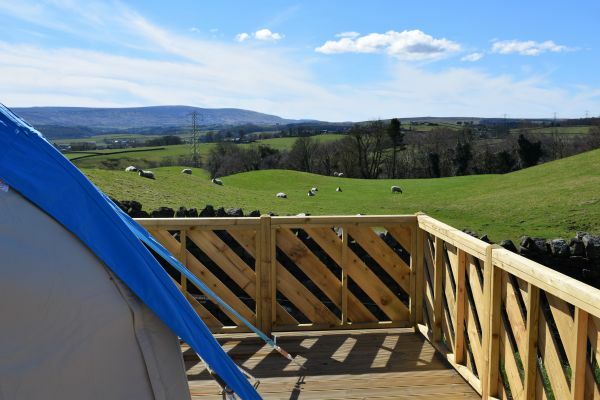 We are in one of the Running Water glamping pods, with Hot Tub and it's an idyllic break away from the hustle and bustle of normality. 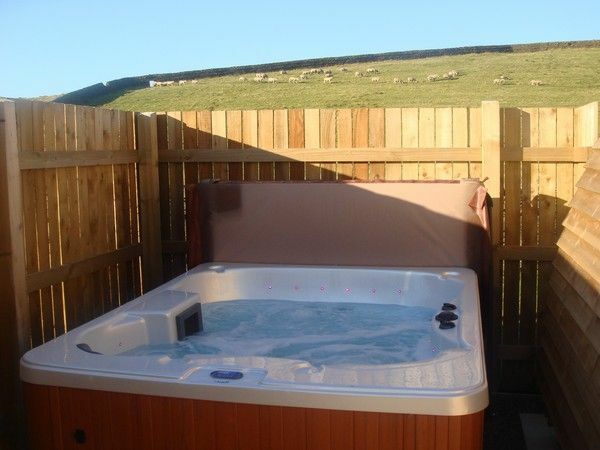 The site staff are friendly, the hot tub is delightfully warm and there's good food out and about in Haltwhistle too. We would definitely come back in a heartbeat! 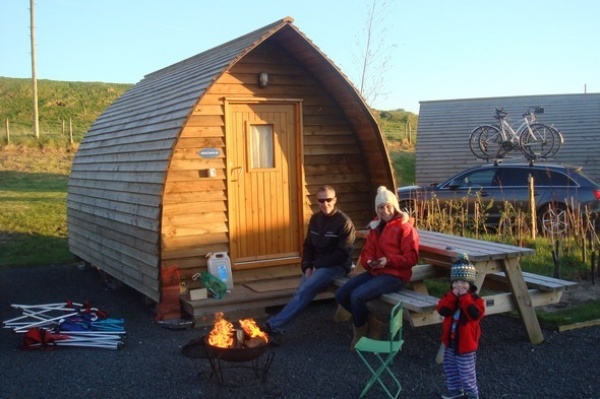 Our daughter, her husband and son, had hired a wigwam with a hot tub for a week at halloween. 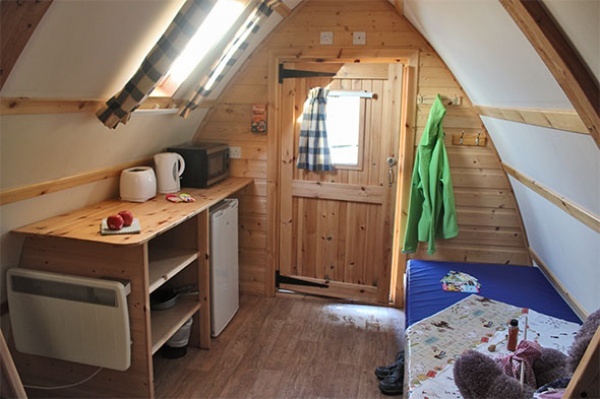 She invited us over for one night and booked us a smaller wigwam without bathroom. The campsite is small and simple, but we felt very in our element. For 7 years my husband and me have worked on on several campsites around Europe and this was one of the most well thought trough layouts. There was enough space around the well maintained pitches. 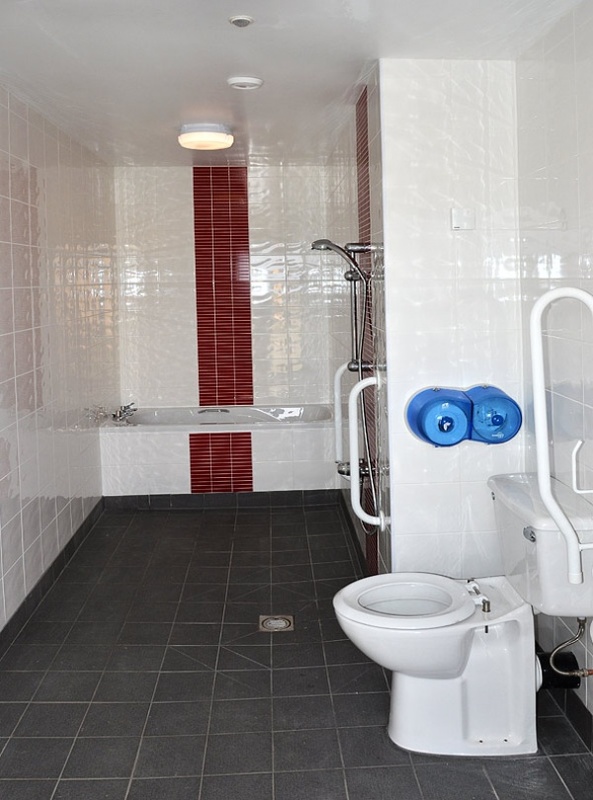 The toilet and shower block was extremely clean and nicely warm. 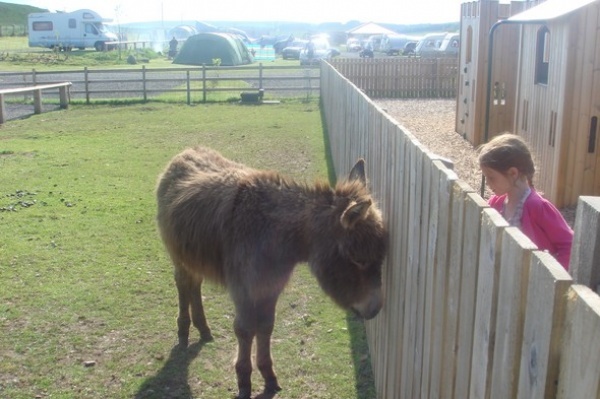 The petting zoo animals, are fed everyday at 4pm which is a nice activity for the kids and the animals look very healthy. In the evening, the area is well lit. The surroundings are quiet and beautiful. In other reviews some said the staff was rude, but we found them very friendly and informative. We are defiantly coming back for a few more days and hope we do not forget our pillows and a drinking cup. We had a great weekend staying here. 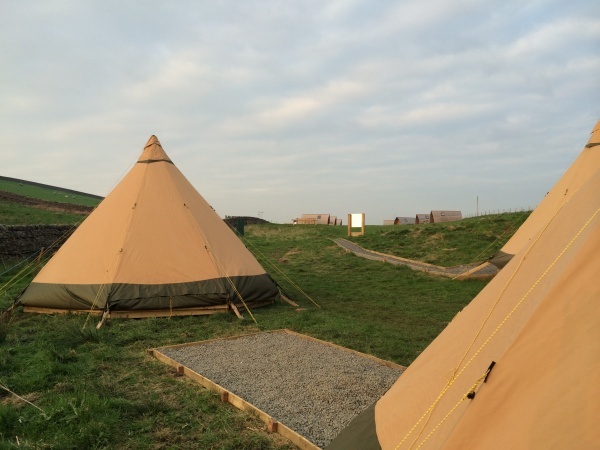 The pitches are very big, with lots of space for campers. 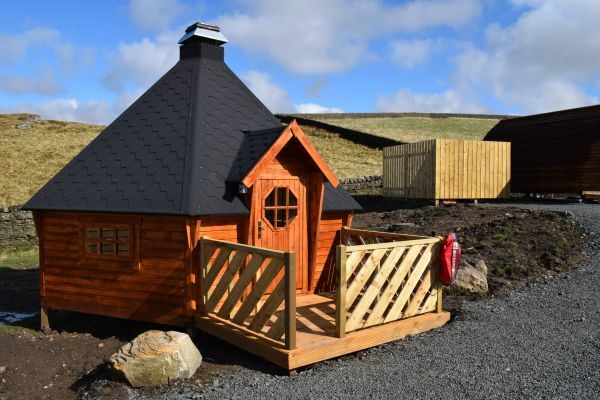 The amenities are great, with a great toilet and shower block (with under floor heating as well, so when it's cold then it's great in there). Also they do amazing pizzas at the weekend which they will deliver to your camper or tent! 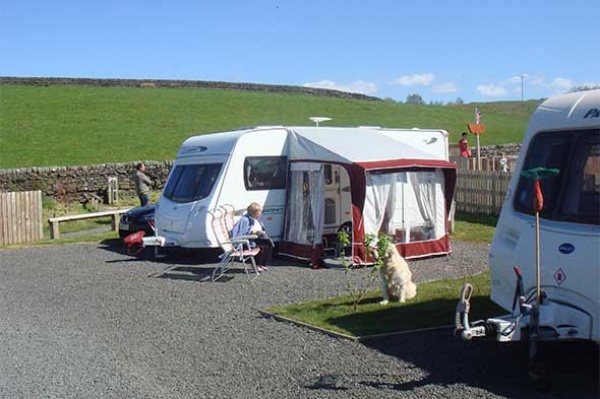 It is also very well placed for Hadrian's Wall, and has a very good pub (the Milecastle Inn) just down the road.